We've just finished working on the complete keel-up restoration of a Herreshoff Fishers Island 31. 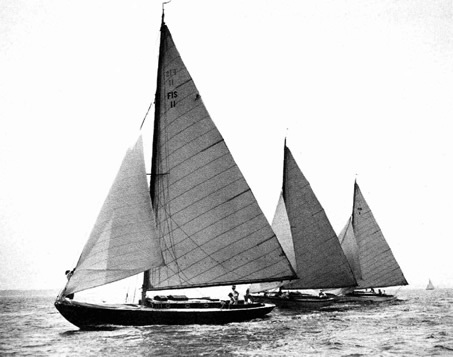 Fourteen of these wonderful 44' sailboats were built by Herreshoff Manu. Co. from 1926 to 1946. Our project boat was built in 1930 as SURPRISE, then PATAPSCO II. Her new name is WIZARD. Her interesting career includes a circumnavigation in the 1960s with a previous owner. Now she is decked out to compete in the classic yacht circuit in New England and beyond! Off Center Harbor covered her complete restoration, check it out here! Sail Area: 950 sq. ft.